Your Happy Ever After Starts Here! 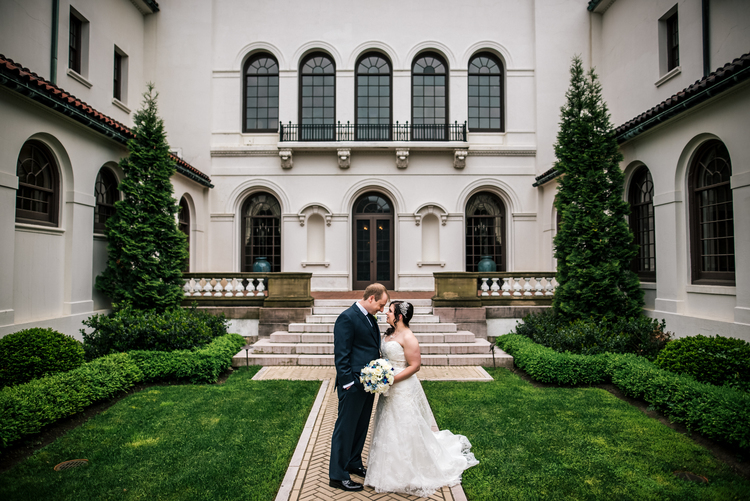 The seven acre campus of the Cleveland History Center in University Circle provides an elegant backdrop for your wedding and reception as guests enjoy stunning decor, classic architecture, and historic collections from cars to clothes. For a truly ornate and historic setting, reserve the Hay McKinney Garden and Reception Hall and entertain in the early twentieth-century elegance of the Gilded Age. Or for a more intimate setting, choose the lush Hanna Courtyard Garden then motor on over to the Crawford Rotunda for your cocktail hour and reception where guests can dance and dine among antique and classic automobiles, rare aircraft, and motorcycles. Fill out the form below to contact us today to see how you can take a tour of our spaces or receive more information about holding your wedding at the Cleveland History Center. Choose from our list of preferred caterers approved to provide menus and services adaptable to a wide variety of styles and budgets. View a full listing of our vendors here. Do You Have Any Additional Questions or Information You Would Like To Add?